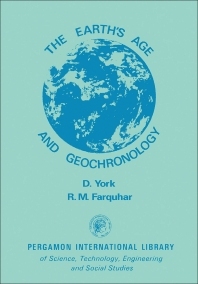 The Earth's Age and Geochronology provides an outline of geochronological methods, applications, and interpretations. This book discusses the fossil fission track method of dating. Organized into 12 chapters, this book begins with an overview of an accurate chronometer for measuring time intervals that must contain some sort of mechanism in which it operates at a predictable or known rate. This text then discusses the methodology of dating as well as the importance of long cooling histories. Other chapters consider the application of the experimental method to idealized, undisturbed systems. This book discusses as well the concept that in plutonic environments daughter isotope retention may often not commence until long after crystallization, or the peak of metamorphism. The final chapter deals with the applications of geochronology wherein the effects of selectivity will be particularly evident. This book is a valuable resource for nuclear physicists, astronomers, geologists, cosmologists, geochronologists, experimentalists, and scientists.